I’ve been a bit busy ’round these parts, trying to tie up loose ends. Yesterday I finished Ross King’s The Judgment of Paris (2006). 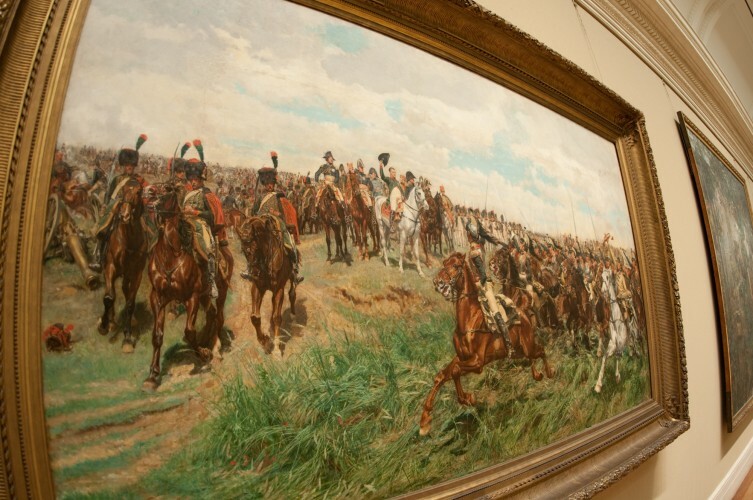 The tome chronicles the end of the Second Empire in France, the career of Édouard Manet, the rise of impressionism, and the epic quest by Ernest Meissonier to paint Friedland, seen here at the Metropolitan Museum of Art. The decade between 1863 and 1874—the years between the Salon des Refusés and the First Impressionist Exhibition—had witnessed a struggle between the votaries of the past and those of la vie moderne. This struggle concerned rival ways of painting as well as, ultimately, rival ways of seeing the world, and it would result in the greatest revolution in the visual arts since the Italian Renaissance. I found the book interesting, not because I love the Impressionists (although I am mad about Manet) or because I particularly care about Meissonier. Rather, I’m fascinated with modernity. Understanding the transition from the pre-Modern period of human history to the age we have been living in since the mid-to-late 18th century could be my life’s full-time work if I didn’t have bills to pay. That dogmatic, pre-Industrial Revolution, pre-Enlightenment period is just so hard to comprehend. But I’m trying, and The Judgment of Paris filled in some much needed details. Now that that’s done, we’ll see if I can’t get back to some more typical topics here. Except that I just started reading about the Romantic Revolution yesterday evening. . . . This entry was posted in 101 in 1001, Book Notes, City of Light, From the Yellow Notepad, History. Bookmark the permalink.